Challenge: Oil Water Separator required to cost effectively treat multiple dirty water pits. Solution: Oil water separators normally have a single or at most dual water inlet. For this situation there were six water sources that needed to be treated by the one oil water separator. 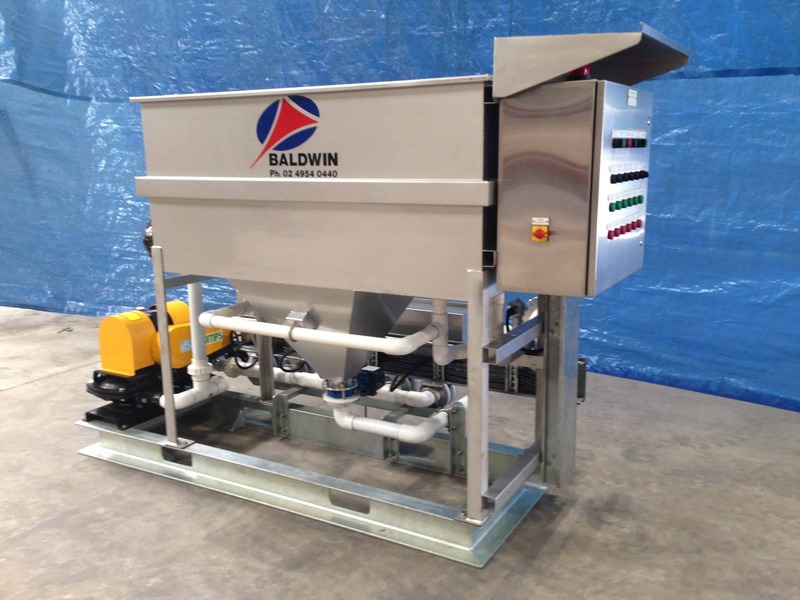 Utilising their process expertise Baldwin were able to design and fabricate a custom oil water separator that met the customers requirement. The oil water separator utilised electrically activated valves, as there was no plant air available in the area that the separator was to be located. The valve manifold, pipe work, pump, pulsation dampeners and the control system were factory fitted and the oil water separator tested and programmed. This enabled a factory run test of the oil water separator to ensure that installation was straight forward for the customer. 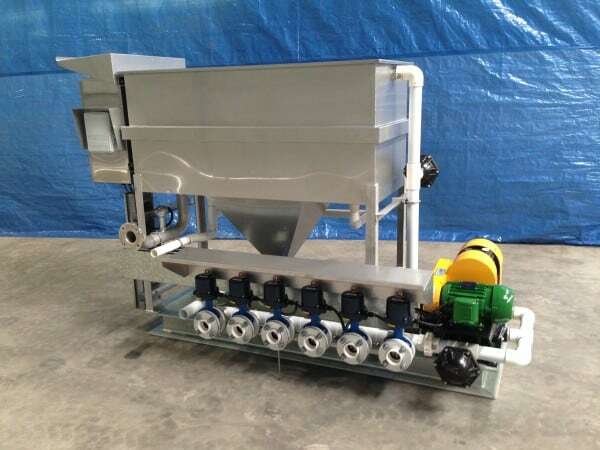 The six valves are each plumbed to SkimPak floating suction skimmers fabricated by Baldwin, to enable the oil layer to be transferred effectively to the oil water separator as each pit treated in sequence. The oil water separator control system allows adjustment of run time for each oily water pit to allow for process variations that may occur. 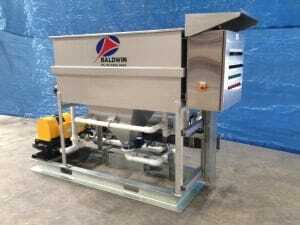 Baldwin can design and fabricate custom oil water separators to suit any oily water treatment need.